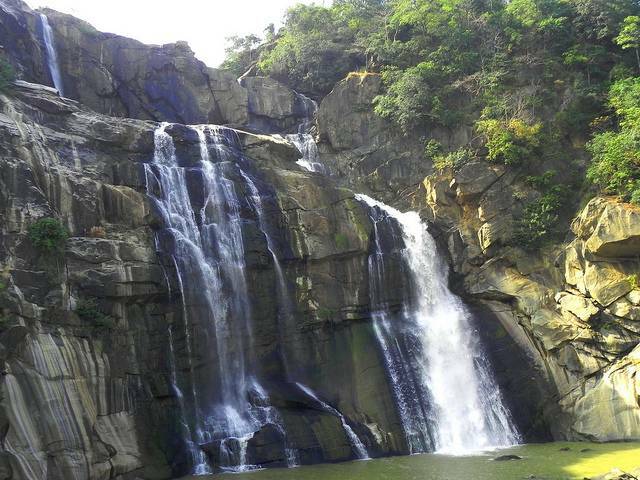 Hundru Falls formed by the Swararekha River, falling at a height of 322 feet, keeps one gushing over its expanse and, it is considered amongst one of the highest waterfalls in Ranchi. This place is about 45 km from Ranchi, lying on the Ranchi-Purulia road. This place is very much looked forward to by people who want to trek or just take a dip in the pond formed down below or just to have a peaceful time along the waterfalls, which indeed has a captivating aura about itself rendering visitors and tourists to be lost in them. The rocks keep changing their shape due to the erosion caused by the flow, which adds on to the waterfalls’ beauty. In monsoon months, the falls water flow becomes large and is beautiful to watch. In summer season when water flow is small, this place becomes a great and safe picnic spot for people of Ranchi. The Suvarna Rekha Hydral Project built further down the Hundru Falls can also be visited by tourists for beautiful views.